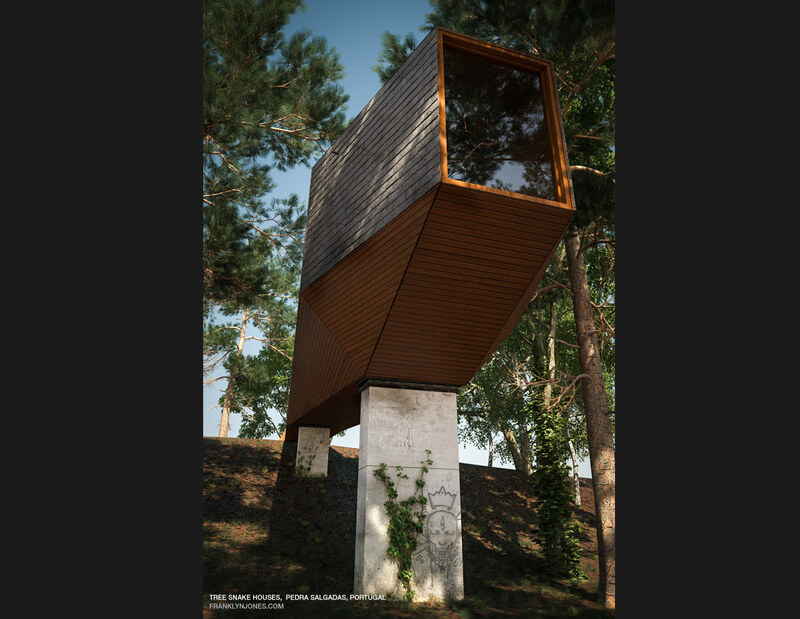 The Tree Snake houses are single bed cabins situated in the Pedras Salgadas Eco Resort in Portugal. They were designed by Rebelo de Andrade and Tiago Rebelo de Andrade. Not only do I find the houses to be inspirational in their design but also the environment in which they inhabit.